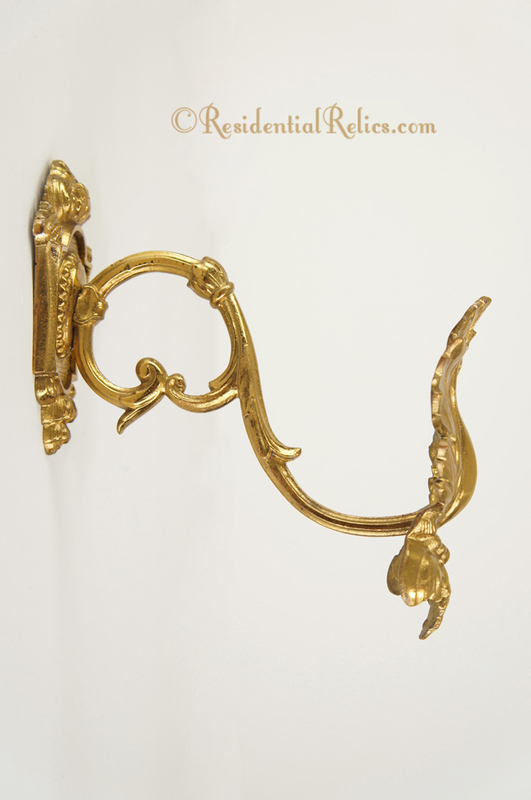 PAIR Antique cast bronze gilt finish drapery holdbacks, circa 1900sShop our online catalog for a great selection of authentic antique and vintage lighting and hardware! 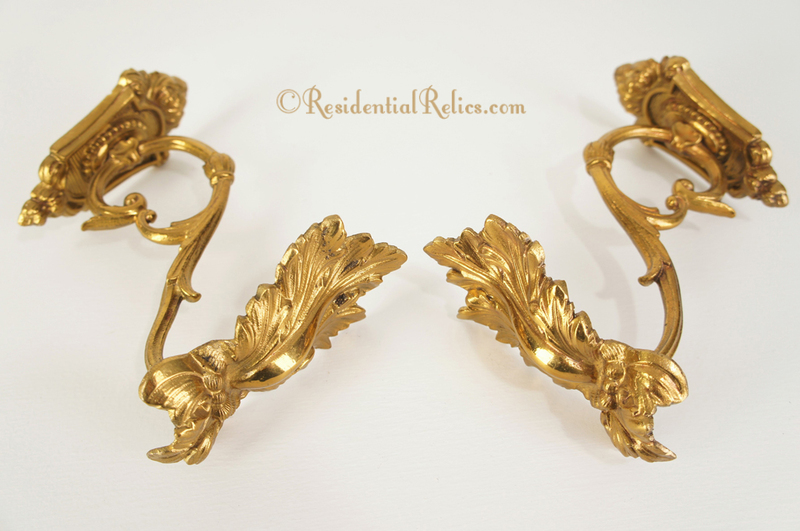 Lovely and elegant antique cast bronze drapery holdbacks with gilt finish and leaf design. We have two pairs available.